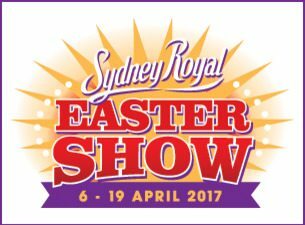 Sydney Showground at Olympic Park is soon to get very busy as the Easter Show bursts onto the scene from 6-19 April 2017. We take a look at what to do and where to stay, as the country meets the city over a fun-filled fourteen days. What should I plan to see? There’s almost too much choice at 2017’s Easter Show! Every day at 7:30pm you can make your way to Spotless Stadium where you can watch stockmen and over 100 animals re-enact the iconic scenes from The Man from Snowy River. Kids will love getting up close with farm animals, being a junior farm hand and snapping up one of over 350 different show bag varieties. If you’re around on 8, 11 or 14 April you mustn’t miss the Grand Parade, featuring the show’s prize-winning animals, woodchoppers, producers and rural leaders. Finally, there’s an abundance of mouth-watering food to be sampled, from traditional treats made by the Country Women’s Association to fresh Nutella shot donuts. Yum! What about accommodation near Olympic Park? If you’re on the lookout for Easter Show accommodation then you can do better than the usual Olympic Park hotels. Meriton Serviced Apartments on Church Street Parramatta places you out of the hectic surroundings of the show, yet is a close drive to all the action. Stay in a luxurious one, two or three bedroom suite with gorgeous river views and a full kitchen and laundry, plus Foxtel and widescreen TVs in all bedrooms. Best of all, get all this for a comparable rate to the ordinary Easter Show hotels, for what is guaranteed to be a spectacular Sydney stay.